Learn all about Planning a Playground in 6 easy steps, from designing your structures, choosing independent play items and safety surfacing to planning your install! There are five key points to consider in the early stages of planning a playground: (1) playground age requirements (2) playground child capacity (3) allotted space for your play area (4) how soon you need a playground and (5) defining your budget. We'll help you answer all these questions and more! Our playground consultants have placed playgrounds on everything from rooftops to shopping malls, to old parking lots to wide open fields. From safety compliant daycares to campsites with outdoor grill stations, no matter the project, we have what you need, inside and out. All BYO modular structures are 100% customizable from color to components to layout! Working hand-in-hand with your BYO Playground Specialist, we will create the perfect playground structure for your facility based on your needs, budget, and available space. Equipment selection is the core of the planning a playground process and is the key to keeping kids physically and mentally challenged. There are dozens of different types of play panels, slides, climbers and overhead ladders that can be combined into thousands of different composite play configurations. Don't forget to allow extra time for necessary events. The high level of customization means that our playground equipment is typically made-to-order. Therefore, the production process for your playground equipment does not start until we have placed the order with the manufacturer. We'll provide you with a variety of install options and maintenance tips including professional, certified installation from BYO Playground and self-installation using volunteers, and a formal maintenance plan to keep your play area in compliance with warranty requirements. Are spring riders a good choice for 1st graders? Are rock climbers too complex for the youth group at my church? Each play panel offers a different activity – which one's the best for me? Lucky for you, you don't have to worry about keeping track of all these little details – that's where we come in. 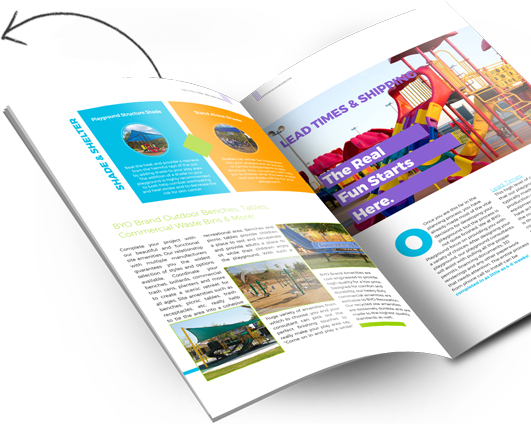 BYO Playground's experienced play consultants know which play component is appropriate for every site size, age group, budget and everything combined. More importantly, we know what your kids want. You'll have plenty of decisions to make throughout the whole planning a playground process, and BYO will be here to help you make the right ones. 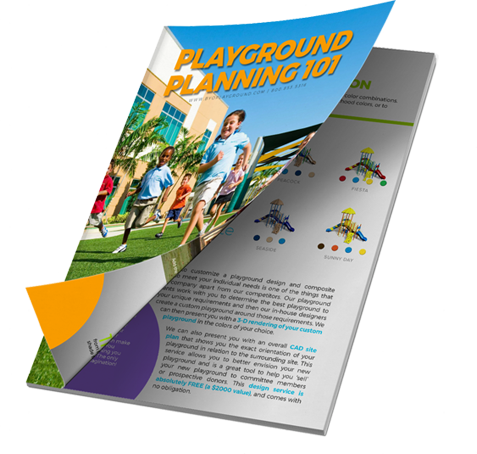 This Free planning a playground Guide has everything you need to start your very own play project. BYO Playground offers standard playgrounds, but all BYO Recreation Play Structures are fully customizable. Custom create your dream playground with our flexible solutions and stay within your budget - always. Make BYO your playground planning resource!